The Jack, Joseph and Morton Mandel Center for Advanced Holocaust Studies is a high priority for the Museum. It supports scholarship and publications in the field of Holocaust studies, promotes the growth of Holocaust studies at American universities, seeks to foster strong relationships between American and international scholars, and initiates programs to ensure the ongoing training of future generations of scholars specializing in the Holocaust. Research projects and publications that shed new light on significant topics, fill gaps in the literature, and facilitate access to study of the Holocaust for scholars and the general public. This includes publication, in association with Oxford University Press, of the scholarly journal Holocaust and Genocide Studies. The collection and preservation of Holocaust-related archival materials worldwide to make previously inaccessible sources available for study and new research. The sponsorship of fellowship opportunities for pre- and postdoctoral researchers to work in the Museum’s significant archival and other collections and to help prepare Holocaust-related manuscripts for publication. Seminars for teaching faculty at the college and university levels, summer research workshops for scholars, conferences, lectures, and symposia. The Mandel Center was established in 1998 to address critical challenges and trends affecting scholarly study of the Holocaust. Survivors and eyewitnesses to the Holocaust who were moved to become the principal scholars in the field are being replaced by scholars born after the events. These scholars will serve as the principal teachers and interpreters of the Holocaust in the coming decades. 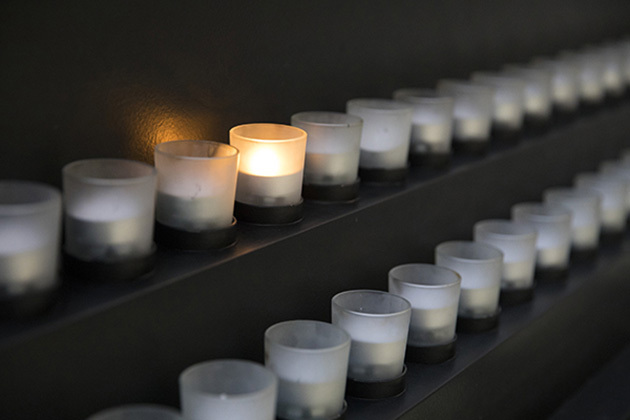 As this generational transition is taking place, the demand for Holocaust-related courses at colleges and universities in the United States has grown dramatically, increasing the need for programs to assist faculty in many academic disciplines to teach the subject more effectively. In addition, vast quantities of written material from previously inaccessible archival repositories and private collections have been identified in Eastern Europe, the former Soviet Union, Western Europe, and the United States. 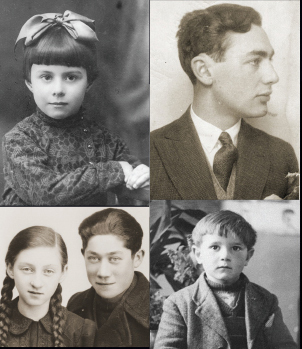 This documentation provides unprecedented opportunities to gain new insight into both the history and the scholarly and ethical significance of the Holocaust. Thus, just as those we have relied upon the most to study and teach about the Holocaust reach the end of their careers, we face the unprecedented challenge of exploring massive documentation to advance understanding of what happened, to ensure the survival of memory of the Holocaust, and to explore the lessons of the Holocaust for ourselves and for our children. The Mandel Center was established to meet this challenge. The Mandel Center provides an ongoing institutional support structure for scholars at all stages of their careers—from graduate students and junior faculty to postdoctoral researchers and senior scholars. The Mandel Center’s visiting scholar programs, research initiatives, archival collection program, seminars for faculty, research workshops, publications, symposia, and other activities have made the Museum one of the world’s principal venues for Holocaust scholarship. Mandel Center scholars conduct specialized research on Holocaust-related subjects where institutional support is critical to accomplish the project, that draw on the Museum’s archival and other research collections, and that address the research and teaching priorities of the field. Current research projects include the in-depth study of key issues and processes relating to the confiscation of Holocaust victim assets, such as organization of an international symposium in 2001 titled Confiscation of Jewish Property in Europe, 1933–1945: New Sources and Perspectives and preparation of the Encyclopedia of Camps and Ghettos, 1933–1945. The encyclopedia is designed to provide concise information on the concentration camps, ghettos, and other sites of detention during the Holocaust, with key bibliographic references and indicators of the location of related archival sources for each site. The Museum’s Division of the Senior Historian is located in the Mandel Center, participates actively in its programs, and responds to research inquiries from throughout the Museum, governmental agencies, the US Congress, scholars, and research institutions worldwide. The Mandel Center is located on the Museum’s Fifth Floor.